The idea of getting a tattoo is always on everyone's mind, but 'What tattoo should I get' is something everyone spends a mighty amount of thought on. If you too are planning to get inked, and have several questions running through your mind, then you've come to the right place. Read this article and all your doubts will be settled. We are also throwing in an extra bonus on how to take care of your tattoo once it's ready. So let's start on planning a tattoo... right from finalizing a design to zeroing in on an artist. The first thing that you need to remember when zeroing in on a tattoo is that it should have some significance to you... not just today, but also several years and decades down the line. It could be personal, emotional, religious or anything else. If you are someone who is peace-loving, then getting a symbol of peace is a good idea. Or if you are very close to your family member/s, you could get their name or portrait tattooed on your body. Whichever tattoo you decide to get, make sure it holds an eternal meaning in your life. You are spending a good amount of money, and the tattoo is going to be on your body for life. So, you obviously wouldn't want to compromise on it, right? 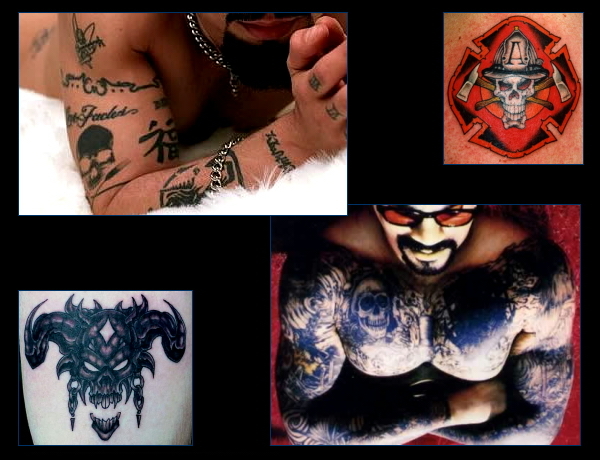 This is why it is extremely important that you do a proper research on the tattoo artist. Check out his art work, see if his detailing is up to the mark, check whether he is well-known in the industry. Imagine the artist ruins the whole look of the tattoo and there is no detailing whatsoever. Wouldn't that get you mad or dejected? So, always make sure you check out the artist's profile well before closing the deal. You can use a mild fragrance soap like Pears, Dove and Neutrogena to gently wash all the excess blood, ink, ointment and plasma from your tattoo. Use your hand for this procedure and in no way should you use a washcloth as it can cause bacteria. If you are not sure which soap to use, read the ingredients. Make sure you don't use a soap that includes alcohol as one of the ingredients. Soap with fragrance and alcohol will burn and can over-dry the skin. After washing the tattoo, dry it with a paper towel. Avoid using a hand or bath towel. Towels can harbor bacteria. Re-bandaging the tattoo is strictly prohibited as it needs to "breathe" and get air to heal properly. During the healing process, wash your tattoo once or twice a day. Too much washing can wash away your body's natural bacteria which helps your skin to heal. Wash the tattoo in the morning and at night before you go to bed. For the first day, the tattoo will "ooze" clear plasma. This is completely normal. Don't use any ointment on your tattoo. Most ointments are for fighting infection and are contributing to antibiotic resistance. Ointments can suffocate the tattoo which will lead to excessive scabbing. Ointments also lead to higher rates of dermatitis in tattoos. Also read: Trend Alert – Would You Tattoo Your Teeth? Before going to bed, wash your hands and wash your tattoo. Sleep in something old and clean, the reason is the plasma from the tattoo will stick to the t-shirt. By the second or third day, your tattoo will start to dry out. It will start to flake like a sunburn. DO NOT even by mistake pick out these flakes. If you do so the color and line of the tattoo will be lost and it will also lead to scarring. And yes, we can tell when someone has picked at their tattoo! In addition, do not wear tight clothing the reason being they may rub against the tattoo. Continue to follow the above steps until your tattoo is completely healed. Healing time varies with each person and the area that was tattooed. Generally, tattoos are fully healed in two to three weeks. Now that you have read this article make sure you get yourself a really cool tattoo which you can show off to all your friends and family. Why Should You Visit The Gynecologist?